The imminent introduction of oil trading in yuan is a very bold move by the Chinese, because the US will not give up the basis of its hegemony – the dollar as the world’s reserve currency – without a fight, Max Keiser, host of RT’s financial program ‘Keiser Report’ has said. 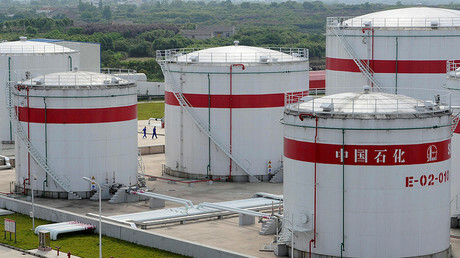 The Chinese plan to roll out a yuan-denominated oil contract before the end of this year is a very brave move, since countries who “tried to exit the oil-dollar matrix have met terrible ends,” Keiser pointed out. “Saddam Hussein wanted to trade oil in Euros and he was killed, Muammar Gaddafi wanted to trade his energy in something other than the US dollar – he was killed,” Keiser said. “Kudos to China for taking this project on and of course they are rumored to be a big buyer in the Aramco offering of their state oil facilities coming down the pike,” Keiser said, referring to the anticipated sales of shares in the Saudi Aramco state oil company. Saudi Arabia was pushed to the de-dollarization crowd only recently by the US itself, which, last year, allowed survivors and relatives of the victims of the 9/11 attack to sue the kingdom over its alleged role in the terrorist acts, Keiser stated. Countries worldwide are tired of funding the America’s “military adventurism by being a party to the ‘Empire of Debt,’ as it’s known around the world – the US dollar,” and therefore, will likely join the de-dollarization movement, Keiser said. The US financial sector and its military-industrial complex are unlikely to give up the dollar hegemony without a fight, though, as the dollar is both the basis and the main product of America. And the US will use its other favorite tool for it – war, Keiser believes. “Maybe they will start a war between Japan and China, and maybe they will start a war with North Korea. 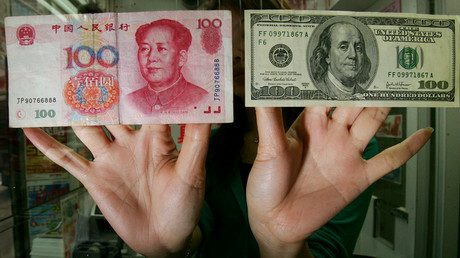 America will do anything to keep the US dollar as the world’s reserve currency,” Keiser said.